Scott started at the school in 1993 when he and his father, Alan, mother Kendy, brothers Mark and Ryan, and sister Carolyn began training together as a family. He had always wanted to do some kind of martial arts after watching martial arts movies and credits them for being his early influence. Kung fu serves many purposes in Scott’s life. He is driven to better himself and readily admits there is always room and need for improvement. He works with his family in their air conditioning business and finds the physical training essential for staying strong and fit, as well as providing stress relief and post-workout relaxation. Focus and energy are restored. Scott also has great appreciation for the martial side of training and his ability to defend himself and his loved ones. 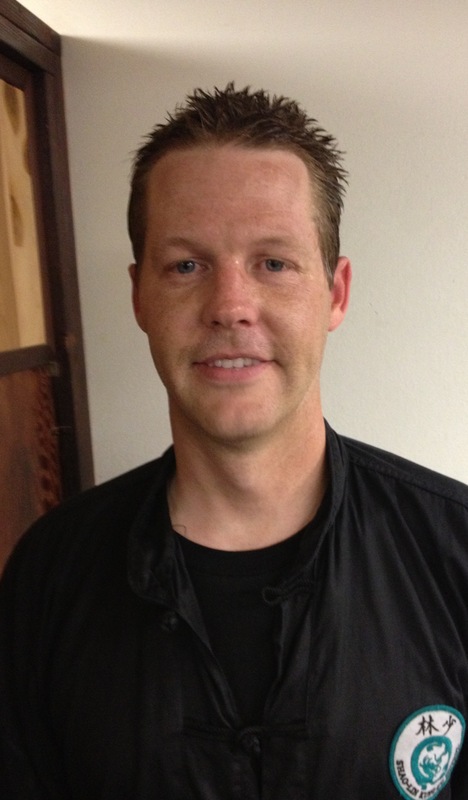 Scott enjoys camping and water activities like wake boarding, knee boarding, boating, and riding wave runners. He lives in La Habra with his wife, Christie.